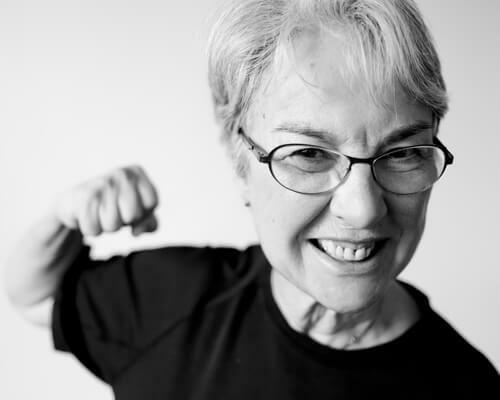 Krav Maga 55+ | Fit, healthy and resilient at 55+! Fit, healthy and resilient at 55+! Lessons specially aimed at 55+. It is not always possible for seniors to start with regular classes where the pace is high from the first minute. Moreover, the wishes are often more specific. For men and women who are at least 55+, want to have fun during sports and want to learn new skills in a safe environment. Experience with other sports is not a requirement. 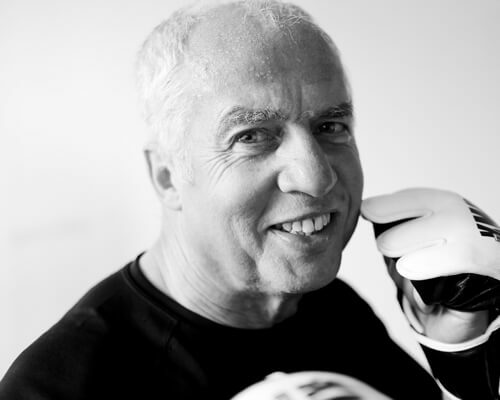 Krav Maga is a unique and logical system that provides practitioners with practical self-defense skills that are easy to apply in everyday situations. Those skills are not only physical but also verbal, because we want to avoid a physical confrontation. Participants learn how to recognize danger quickly, de-ascalate a conflict, but also what to do when they fall, improve their motor skills, and make the joints more mobile. So many practical things! In combination with the cardio and force exercises, it is also an excellent workout for those who want to stay vitally or become vital. The instructors are all internationally certified and have many years of experience in practicing and teaching in Krav Maga. I think the Krav Maga classes are of a great level, the enthusiasm and expertise have made a very positive impression on me! A group consists of up to 8 regular participants, so each training is a piece of customization. The lessons are delivered on a Tuesday morning from 9:00 to 10:00. One month subscription costs 65 euros and can be terminated at any time.